I have good news for you: I’m going to take all the drama out of your new year’s resolutions. This year, in 2016, I encourage you to toss aside the been-there, done-that options—lose weight, work out more, be less stressed—and instead focus on a few totally attainable ones. Lazy person’s resolutions, if you will. Psychologists say that your best chances for keeping this promise to yourself depend on your having the capability, the opportunity, and the motivation to see it through. Given these factors, it’s understandable that a whopping 80% of us fail within the first 30 days. It’s my personal belief then that the majority of us are making the wrong resolutions. The five suggestions ahead are, as promised, drama-free, and absolutely achievable. When Steve Jobs studied calligraphy, he marveled at the beauty and artistry of the technique. In a commencement address at Stanford in 2005, Jobs admitted that learning the skill wasn’t the most pragmatic thing he’s ever done. Little did he know how his calligraphy experience would deeply influence his sense of design in his work at Apple. This is the year to follow his lead. Have you always daydreamed about putting a car together from spare parts? Making your own wine? Learning graphic design? Resolve to take a course, attend a conference, read an instructional book, or find that mentor who can stoke your curiosity and teach you about something you have a burning desire to know. Forget about the practicality part of it and have fun. You never know where it might take you. If you’re hoping to move up in your organization or career, look for one experience this year that will help you do just that. Maybe that means volunteering to help put on an industry conference that will ultimately lend your company the brand exposure it’s been seeking, thereby placing you in a prime position for promotion and praise. Even if that’s not the end result of you trying your hand at something outside your career comfort zone, it’s likely to introduce you to new people, offer you a memorable new learning experience, and lead you to discover insight about yourself. Again, as with learning a less-than-practical new skill or hobby, you never know where this stretch could lead you, what career-path door it might open. Pick one tech skill you’d like to learn, and find out how to do it. Of course, no tech conversation would be complete without a mention of coding and the sheer number of beginner and intermediate classes available now as a result. As one of the biggest in-demand skills today, learning the basics can hardly do harm. Check out Lynda.com and Codecademy for more info. If it’s Photoshop (another coveted skill as of late) that’s on your mind, there are plenty of ways you can get more comfortable with digital design. Consider one of the various online course sites, including classes offered by Skillshare or CreativeLive to get started. The options are almost endless, so there’s no excuse for why you can’t find one that interests you. So, you’re not much of a reader. You don’t have time. You’re too distracted. Too busy. This year, I challenge you to read one whole book every four months. They can be straight-up business options, fiction, a biography, whatever—just make sure you’re choosing ones that will make you think, that’ll inspire you on whatever path you’re on. Yes, you can still have some lighter reads. But go out of your way this year to pick three that’ll help you advance, and not just give you an escape. Go to your favorite independent bookstore, hop on Amazon, or get a library card (it’s easy and free!) and start making a list of things you’d like to read. My guess is you’ll quickly surpass the three you set out to read and perhaps enliven a long-lost love of reading or discover a newfound one. You are reliant on technology. It rules your life in many ways, and I get it. I’m no different—always checking my email, reading important articles and tweeting about them, scoping out LinkedIn’s newest features—but I’ve gotten in the habit of disconnecting every now and then, and it feels great! Not only that, but I believe it’s helped me from reaching that point of burnout. In author Joan Borysenko’s book Fried: Why You Burn Out and How to Revive, she discusses how always being online puts you at risk for burning out on the job. If you’re constantly logged on, 24/7, checking your email in the middle of the night when you get up for a glass of water, for example, I challenge you to step away from your devices for one entire weekend. At the very least, it’ll stave off lassitude, but at most, it’ll lead to a creative and more energized you. And who knows where your career will take you then? 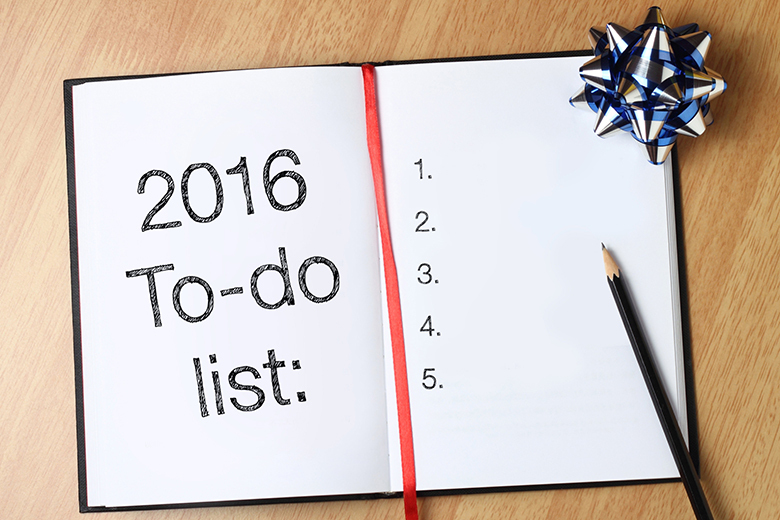 You don’t need to set a plethora of resolutions in 2016. You simply need one good one that will have a positive and generative impact on your life and your frame of mind. Stay out of the judgment zone, and be inspired to start a year that’s all about you, in the best way possible. RISE Networks is a Leading Social Enterprise with a deliberate interest and passion for Youth and Education Development facilitated by Innovation and Technology in Africa. Wish to see your Articles / Opinions Published on Rise Networks Website? Send them to info@risenetworks.org.